Talos: The future of EU border patrols? Most people now accept the prospect of UAV drones patrolling the skies. But few people know that engineers throughout Europe are also busy developing a force of autonomous “first response” robots to patrol European land and sea borders. Two EU research projects, one for unmanned land vehicles and the other for underwater robots, finished this year. Talos and Uncoss both received a large amount of funding from EU taxpayers – Talos €12.9 million and Uncoss €2.8 million – via the EU’s FP7 security research mechanism. The millions involved give an indication of the high priority the EU places on its external border security. But, Talos, Uncoss and the key border control initiative they feed into, Eurosur, are covering new ground both technically and ethically. 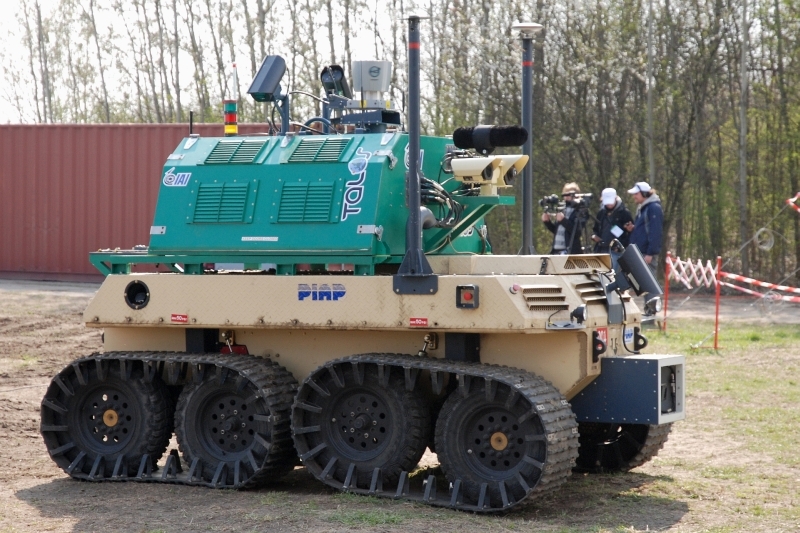 Talos (Transportable Autonomous patrol for Land Order Surveillance) was tested in Poland earlier this year. The jeep-like vehicle drives autonomously to an observation point, where it uses a system of sensors, radars and cameras to identify potential threats and illegal immigrants. When it spots illegal activity it raises an alarm that alerts border guards to come and investigate. Other main challenges included creating the systems and software into which topographic, weather and other environmental variables can be programmed. Talos follows a predefined path, but can also “path plan” independently to avoid obstacles, using data from a UAV. Talos is a massive €20 million project, involving academics and companies from Belgium, Estonia, Finland, France, Greece, Israel, Poland, Romania, Spain and Turkey. The project’s goal of producing a more efficient, reliable and cheaper way of patrolling borders is evidently extremely desirable, but a very complex engineering challenge. 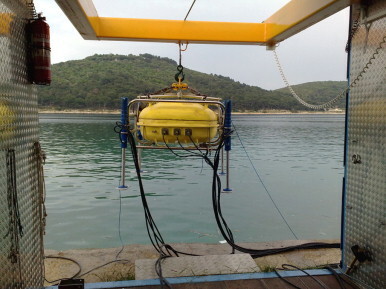 Just as challenging is the Uncoss (Underwater Coastal Sea Surveyor) project, which partnered with academics and firms from Sweden, Croatia, Slovakia and France. The aim of Uncoss is to produce a system that can detect and inspect underwater IEDs. Uncoss would be deployed to protect harbours, ships, coastal areas, ferry terminals, oil and gas terminals, even nuclear power plants. The five year project culminated this year in a prototype that was successfully tested along the Croatian coast, using fake bombs which contained the same chemicals as real ones. If an unidentified object is detected, for example on the sea floor, attached to a bridge or a ship, the Uncoss robot surveyor is dispatched to determine if it is a danger or not. The surveyor uses specially adapted neutron detection technology to perform a non-destructive inspection of the object. Both of these projects could be used in the type of pan-European border surveillance system proposed by the €310 million Eurosur initiative. This long term project, which would be coordinated by the Poland-based EU border control agency Frontex, aims to “reduce the number of irregular migrants entering the EU undetected” and “increase the internal security of the EU”. Eurosur is yet to be approved by European politicians, but human rights activists and lobby groups like the AEDH (European Association for the defense of Human Rights) are already raising concerns about possibility of the system being misused and the morality of making the EU a more difficult place for asylum-seekers to escape to. Solving the logistical and technical problems of enforcing the EU’s borders with robots is most likely the easiest part of this emotive and very human problem.